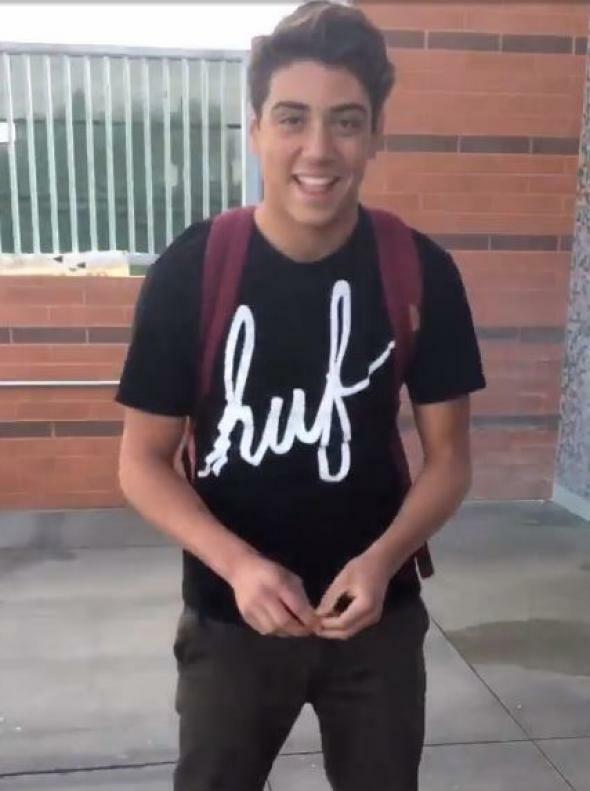 “Damn, Daniel” Internet meme and video introduces us to Daniel and his Vans. What is “Damn, Daniel,” and What Makes It So Good? The beauty of the modern meme economy is that anything can become a meme. That’s why right now, much of the Internet is riveted by a 30-second clip collage of a high-schooler not doing much more than smiling and walking around campus as another teen’s funny voice alternately mocks and praises him. This is “Damn, Daniel,” a BuzzFeed-certified viral phenomenon. Since being posted last week, it’s racked up 265,000 retweets and 334,000 likes, plus untold amounts of attention for its star, the titular Daniel, and its mastermind, a kid named Josh. The chance to observe high school boy one-on-one interactions in the wild—cute boys, if Alex from Target and One Direction have taught us anything, represent the very heart of the viral Internet—is part of what makes this clip so fun. Are these guys friends or enemies or what? Is the narrator making fun of Daniel’s earnest attempt to look cool? Or is he some kind of admiring loser who Daniel briefly indulges every time he’s accosted? A former rando who achieved friendship by mocking Daniel on the daily? Trying to read exactly what’s going on quickly turns into a litmus test for your views of high-school–age boys and popularity. Similarly, do you think the star of the video is Daniel, double-strapping his backpack and putting careful attention into his appearance, or the narrator, the one elevating the whole thing to performance art? The truth of the video’s appeal may be that it’s a charming window onto a friendship, where one kid mocks another in a truly uncruel way, for just being himself. Oh, only you would walk around like that and wear shoes like that, you’re being sooo Daniel right now. (Also, Daniel, not Dan. This kid is particular.) Most of us wouldn’t see much to make fun of in a well-dressed, probably popular teenage guy, but to his friends, he’s just another doofus. Don’t you remember seeing your friends every day in school and therefore knowing them well enough to nail them with ridiculously specific characterizations (Mike always with his calculator, the way Ashley carried her books around) that evolved into elaborate inside jokes? The difference is that now those jokes have the potential to become Internet phenomenons if they’re funny and weird enough. Damn, today’s teens! Back at it again with the sick memes!